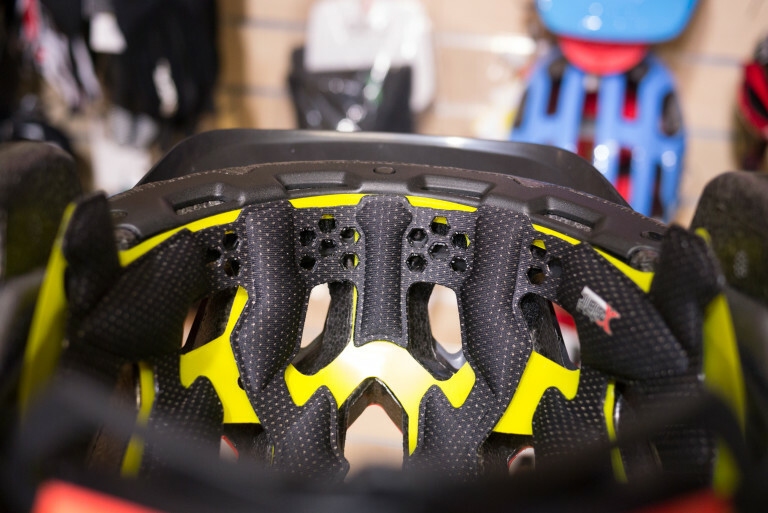 With prices ranging from £30 to £200, MTB helmets are a funny category. Let’s cut through the hype and see what you really need. First things first, you don’t NEED a top end helmet. You can get fantastic helmets for £40 upwards these days. They’ll protect your head, they’ll be light, they’ll have a decent amount of vents, a back-of-head retention system and a peak at the front. No problem. In recent years top end helmets have gone technology crazy. And the price tags have gone a bit crazy too. New technology always costs a premium when it’s new. 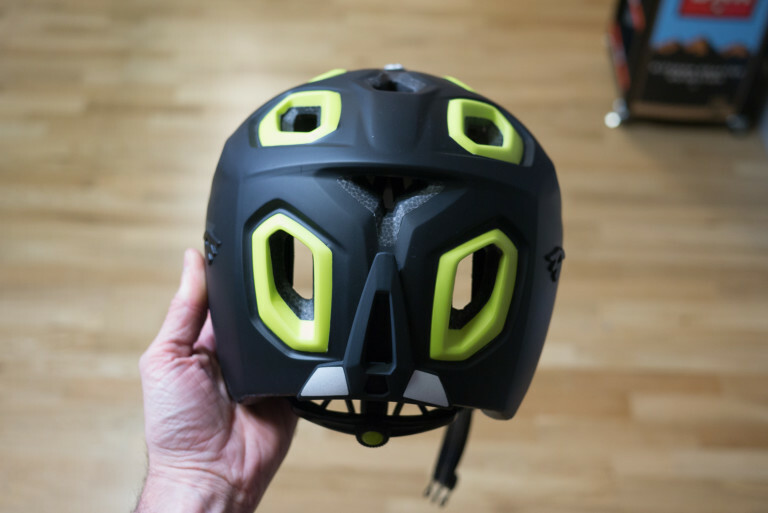 The new tech will trickle down to more affordable helmets over the years but at the moment it’s pricey. 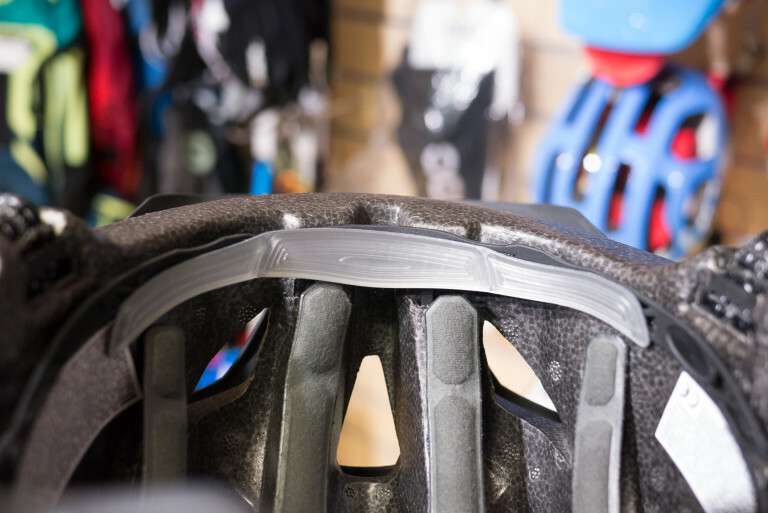 This can seem to be pretty much the key decision you have to make when choosing a MTB lid now. XC helmets are more vented but don’t cover as much of the head as enduro helmets. Enduro lids cover a lot of the head but they aren’t as vented. However there are still helmets available for regular trail riders. They don’t get much press these days but they are what the silent majority of riders suit best. 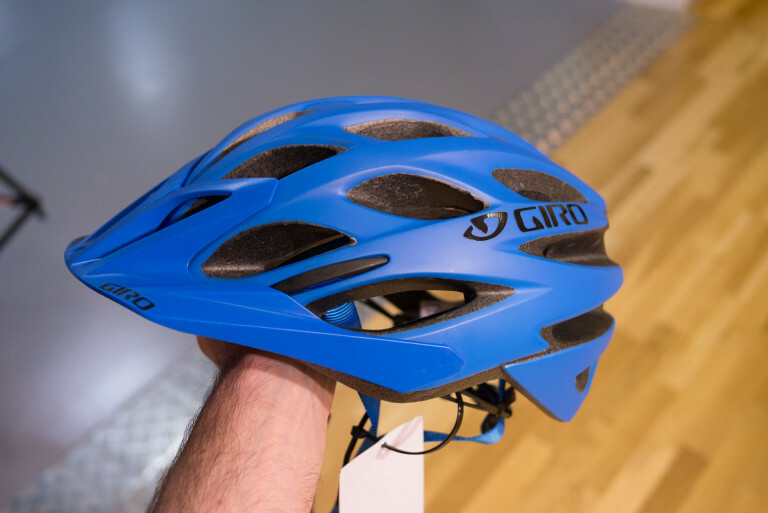 More vented than an enduro lid, more coverage around the back of the head than a cross country lid. They also usually don’t come with a crazy price tag. Beware of fashion. Go for function. Go for the helmet that suits you and your riding the best. More XC style helmets have fairly modest length peaks. This is so the rider can still have good visibility ahead even when they’re heads-down-hammering. Some enduro helmets have massive peaks. This is partly a fashion thing but they also do offer a broad range of on-the-fly tilt angle adjustability, which is useful if riding in low sun or on extreme gradients. More vents costs more money. It’s difficult to construct a helmet that offers sufficient protection combined with lots of vents, so this costs money. Do you need loads of vents? It is tempting to say “you can never have too many vents”. If you’re looking at a couple of helmets at the same price point and one has more vents than the other, then we’d say go for the more vented one. But otherwise don’t go way over-budget to get yourself a few more vents. 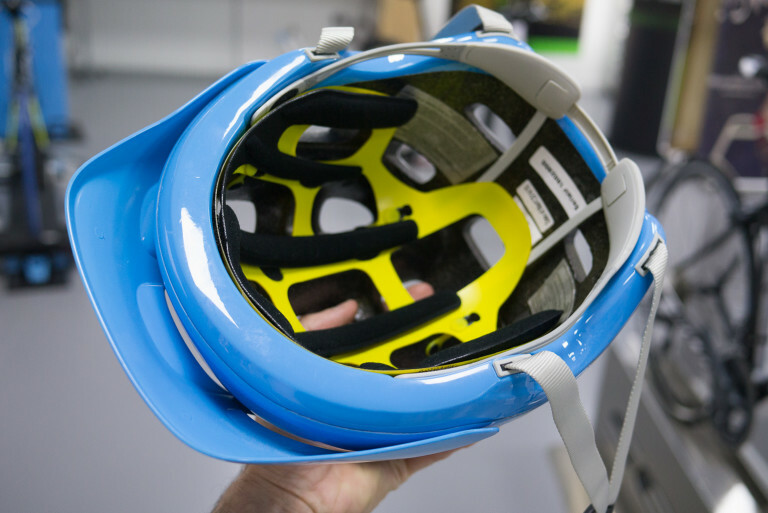 All helmets that we sell pass all the required CE safety regs. 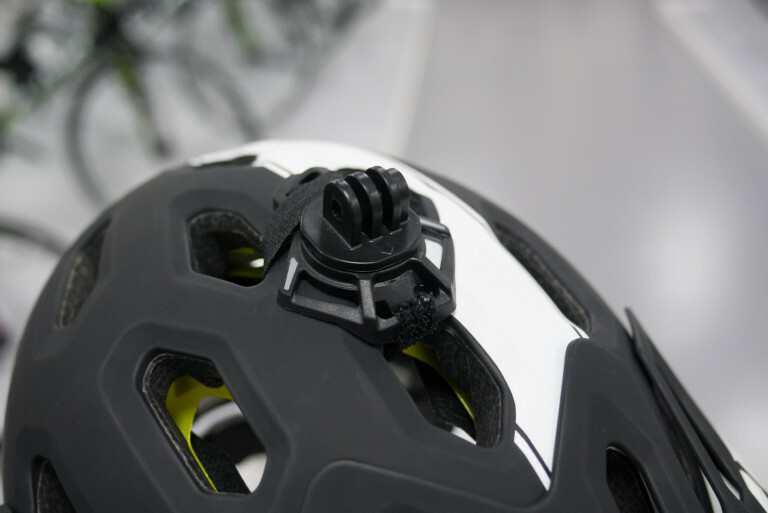 Even heavily vented XC helmets pass the tests. 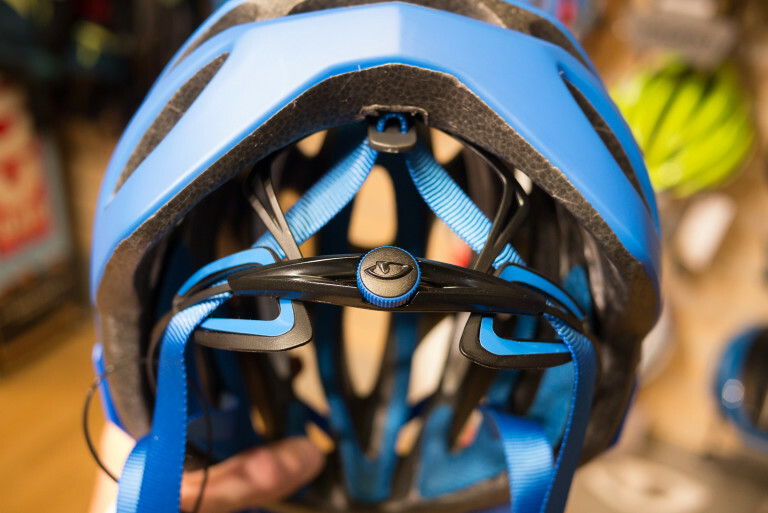 Trail and enduro helmets will pass the tests with plenty of scope remaining. An interesting aspect to contemplate is how a helmet protects itself from casual scrapes and light knocks. XC helmets may not take kindly to riders who dive through the undergrowth a lot or who don’t look after their helmet carefully when it’s in storage or transit. 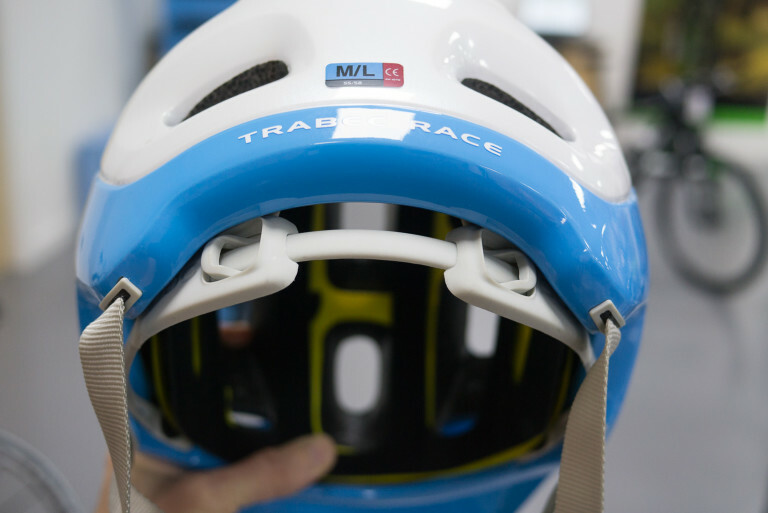 Trail and especially enduro lids can put up with a bit of rough stuff and abuse and still perform at their 100%. 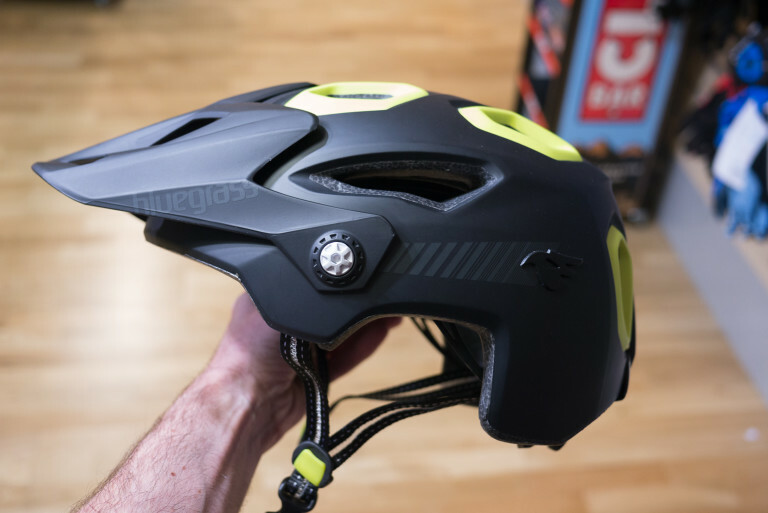 Basically if your riding is at the sketchy or risky end of the MTB spectrum, get a trail or enduro helmet. If you’re more about staying on your bike and setting PBs, get a cross country helmet. On a similar note, helmets that have more of the outer plastic shell covering the polystyrene on the underside and rear-side of the helmet ie. less exposed polystyrene, will generally withstand the day to day rigours of MTB better. They will also retain their looks and style. Exposed polystyrene quickly gets dented and scraped and looks pretty ropey pretty quickly. This is the name given to the mechanism at the back of the helmet that cinches up underneath the back of your head. These only used to be on expensive helmets but now they’re on all helmets. Retention system design varies between manufacturer. Most riders prefer a system with a central dial on the middle of the rear band. Easy to use and self-centring. Other finnicky riders prefer a system which has independently adjustability at either end of the band. These are fiddly to set-up but offer precise fitment. Cheaper helmets have basic straps and buckles. Sometimes the side V-straps are fixed position ie. not adjustable. The under-the-chin strap is adjustable on all helmets. 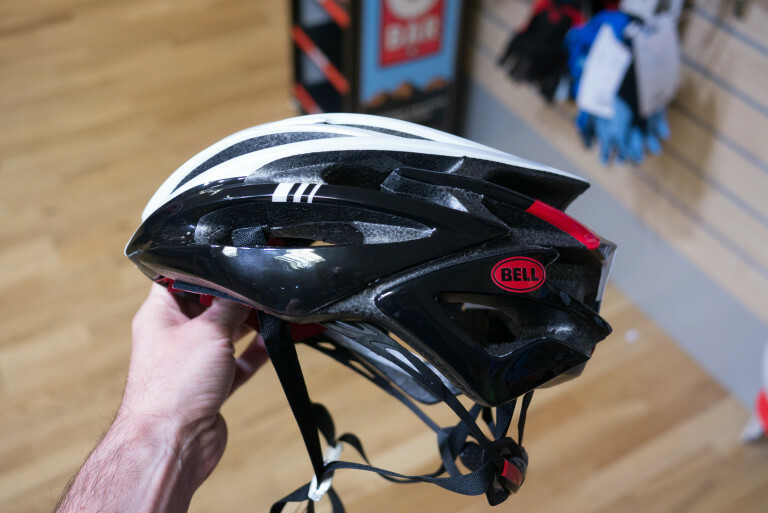 More expensive helmets have straps made form lighter, more supple material which helps with fitment as well as comfort. They also have adjustable buckles for precise location of the ends of the side V-straps. Buckles that have open-and-close lock-able buckles are good because they’re easy to adjust when needed but stay in place (they don’t creep down) for the rest of the time. Some helmets have covers or sleeves for their under-the-chin straps. These are usually removable if you don’t like the look of them or if you find them bulky or even uncomfortable. This is partly for fitment, partly for comfort and partly for sweat absorption. Cheaper helmets will have fewer individual pads and the padding will be uniform in thickness (often quite chunky). 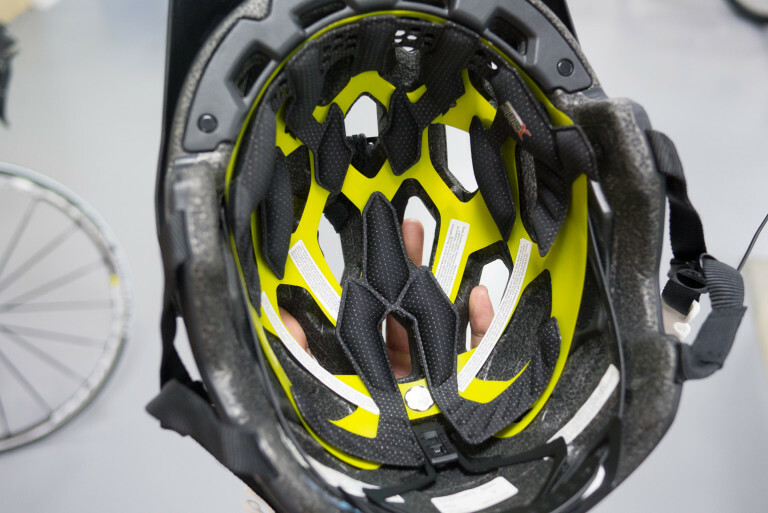 More expensive helmets have fancier padding made up of lots of different sizes, densities, perforations/vents and coverings depending on the location of the pad. Some even have a few gel pads (rather than fabric) which are there to really secure the helmet in position on your head. The new technology on the block. 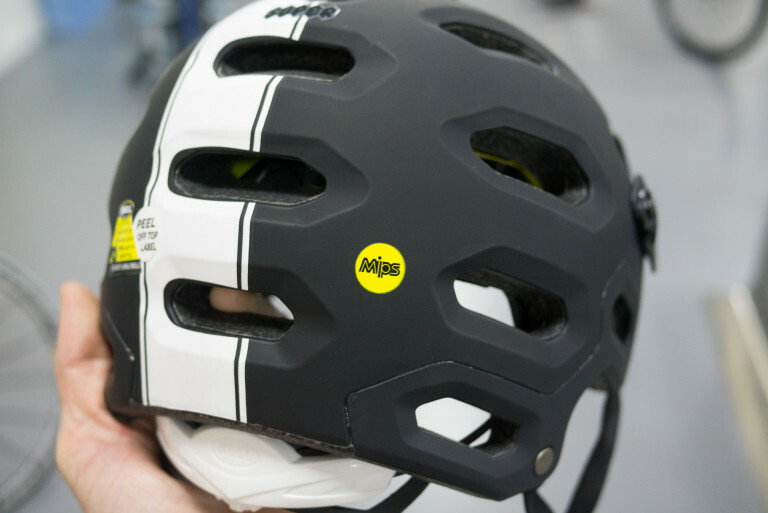 We’ve done a blog about MIPS already but basically MIPS is a slipping inner liner (usually bright yellow, see pic below) designed to prevent whiplash-style injuries in crashes. It allows the helmet to move around the head on impact, reducing the initial rotational jerking. MIPS is currently only found on high end helmets but we expect to see it trickling down to mid-range helmets in a season or two. Some helmets even come with mounts for helmtcams. 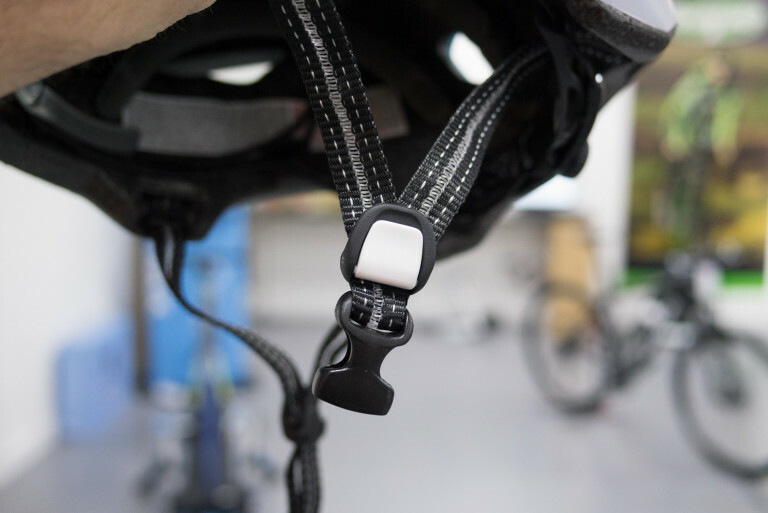 Some mounts are integrated into the helmet itself, some are removeable accessories. It’s not something that a lot of people will be bothered about but if you’re a fervent GoPro-er then you’ll already be writing this at the top of your ‘features to have’ list! 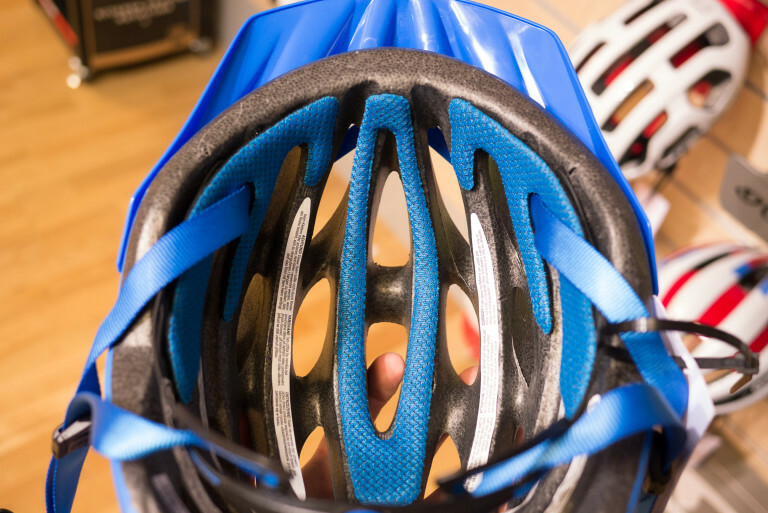 A lot of mountain bikers end up owning two helmets. Broadly speaking this is split into two sorts of helmet: a lightweight one and a rufty-tufty one. This gives you a bit of choice depending on the day’s ride. If you’re off on a high mileage XC epic and/or the sun is blazing down, you can wear your lightweight lid. If you’re off to muck about in the woods scaring (scarring?) yourself on stuff and/or it’s a chilly day, you can bung on your enduro lid. Choice is good and there’s probably a strong argument for buying two mid-range helmets (XC and enduro) rather than spending loads on a single helmet that tries to do it all and can’t. 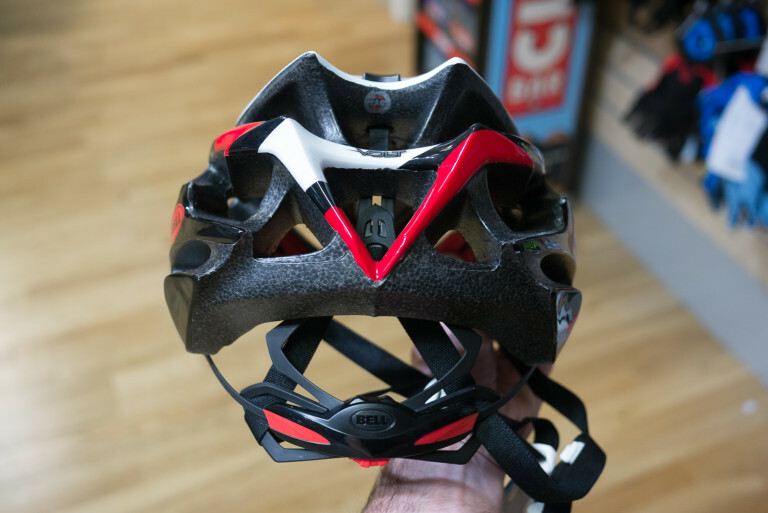 Which mountain bike helmet should you buy? Leisure riders are extremely well served by recent trickle down technology. Any helmet from a recognised brand will be perfectly up to the task. Keep an eye out for helmets in the sale and grab a bargain. Regular riders should try to be realistic and avoid fashion if possible. There are far too many riders out there sweltering under OTT helmets. If you’re genuinely enduro-ing it up every weekend, fair enough. Otherwise, get a trail lid. As ever, try to go for as many vents as you can afford. Racers should go for the most vented helmets in their chosen race discipline. Hang the expense. You don’t want to be overheating during your best efforts. 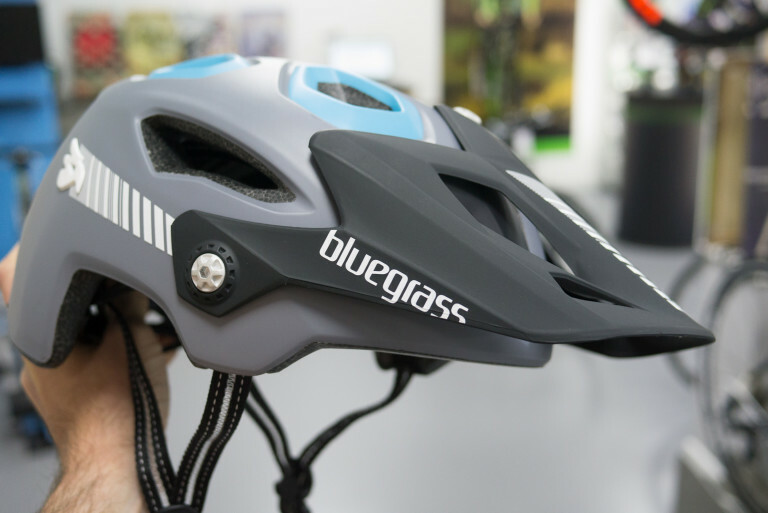 Tagged buyers guide, enduro, helmets, mips, Mountain Biking, mtb, protection. Bookmark the permalink.